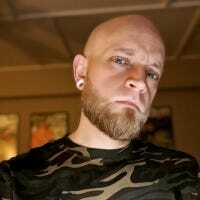 Smartphones can be confusing—especially to those who may be less than enthusiastic about tech. And while manufacturers like Samsung and LG have stock options to simplify home screens and the app drawer, many others don’t have a built-in way to do this. Fortunately, there are plenty of launcher replacements in Google Play that can make navigating through an Android phone much simpler than it is out of the box. Out of all the ones I tested, however, two really stand above the rest: Necta Launcher and Wiser. 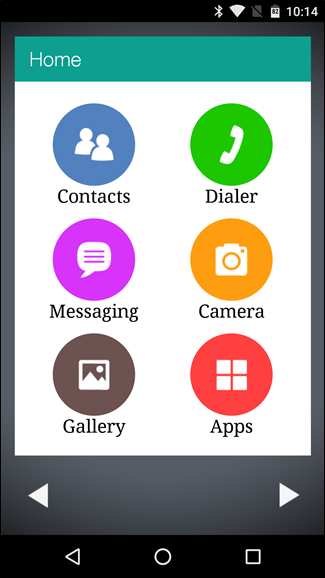 If you’re looking for a way to simplify the entire core experience of using a smartphone—the launcher, camera, messaging, phone, etc.—then Necta Launcher is the tool for the job. It essentially replaces all of the most common activities most users would want to do on a smartphone with a clean, easy-to-use interface that just makes sense. The primary interface features big, bold icons and text, with quick links to commonly-used settings at the top: Wi-Fi, Alarms, Flashlight, and Search. 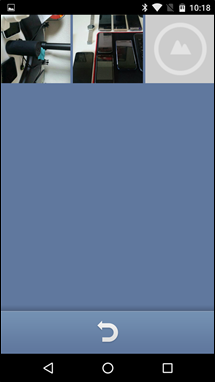 While the first option there just links to Android’s stock settings, all the others are custom apps built into Necta Launcher, so they keep the same overall look and feel as the rest of the launcher. Just below that, there are three customizable “favorite” contact choices. 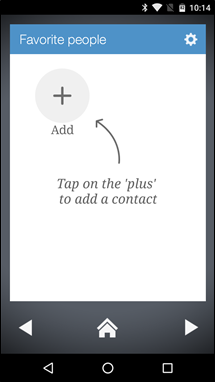 Any contact can be added here, and once they’re set a quick tap will give them a call. 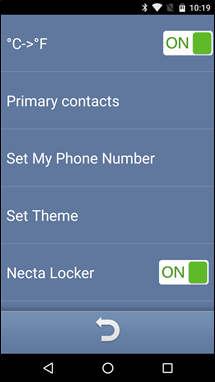 To change these contacts once they’ve been set, you’ll have to head into Necta’s Settings menu. 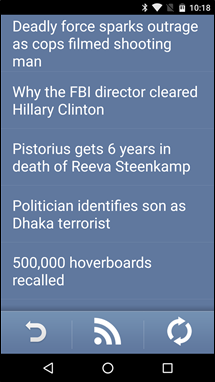 From here, the launcher is pretty self-explanatory, which is exactly what you’re looking for out of an app like this. 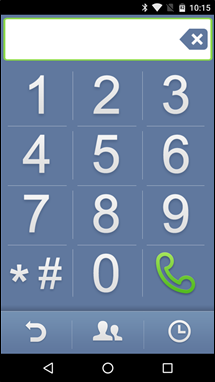 The built-in dialer features large, easy-to-read numbers, and the included text messaging app keeps the same look. The included camera keeps the interface extremely simple with just two buttons—shutter and switch cameras—along with quick links to take a video and the Gallery. 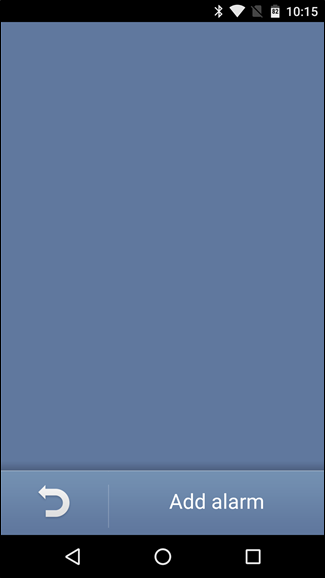 Speaking of, there’s even an included Gallery app that keeps the interface as simple as possible. 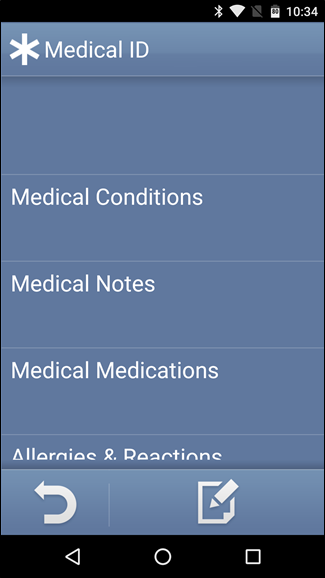 From here, there are a couple of really helpful options for the elderly: built-in support for ActivePERS, a “medical alert solution with fall detection and activity monitoring,” as well as an SOS option that can send the user’s location to a favorite contact with the tap of a button. Welcome to the future, grandma. 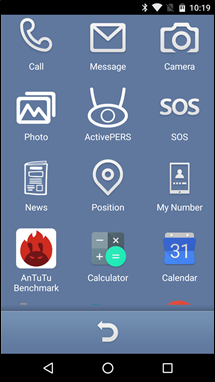 The rest of the launcher includes a built-in new aggregator, a quick link to the user’s location, a button that will show the number of the phone, and a link to the app drawer. There’s also an option to add apps to the main (and only) home screen, making it easy for the user to quickly launch things they use often. Like Facebook. Because you know they’re going to use the heck out of Facebook. 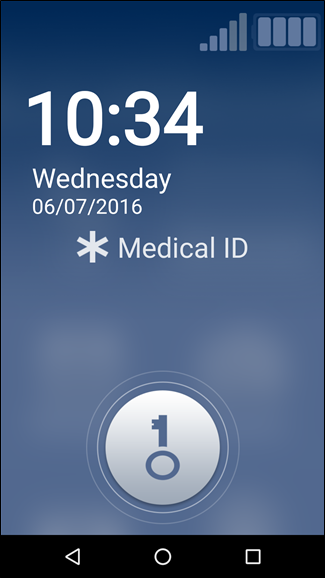 Lastly, Necta also includes its own lock screen replacement, that not only shows pertinent information like time and day, but also has a section for the user’s Medical ID and other information. That could be crucial in a time of emergency. If you’re looking for something that may be a little less…aggressive, then Wiser may be the better option. 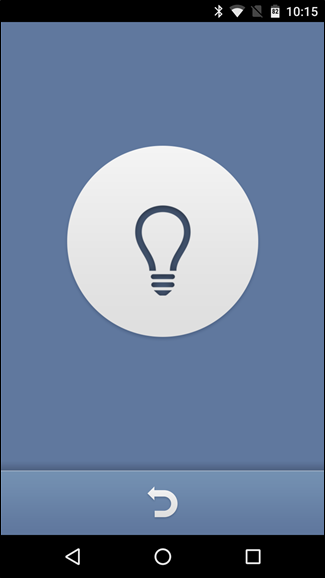 While Necta is clearly designed for the elderly, Wiser is just an overall simpler way to manage home screens. It doesn’t include many of the built-in app replacements as Necta, which leaves the user open to choose which apps they want to use for most purposes. Wiser’s primary interface is essentially a paginated list of links, with “Home” being the starting point. 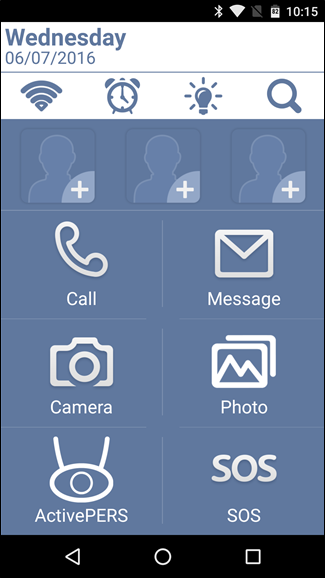 This is where you’ll find access to most common tasks, like contacts, the dialer, messaging, camera, gallery, and the app drawer. 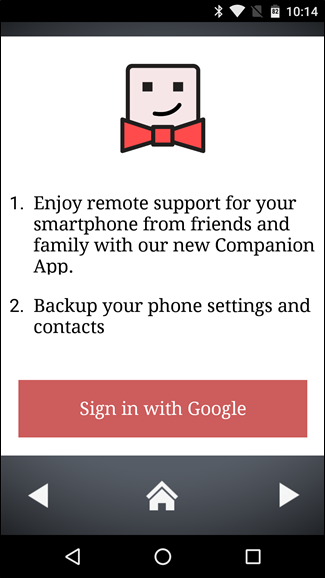 The pages to the right of Home feature customizable quick links to favorite contacts and apps. It’s simple. But there are also two pages to the left of home, which offers some more intriguing features: remote support (for friends and family), and a “Notice Board.” Unfortunately, the former is still in closed beta, so I was unable to test it—from what I can tell, however, it ties to your Google account and will require an application on the other end for the friend or family member to take control of the handset. I’ll let you decide how helpful this will be, since it probably depends on how often your family member ends up with trouble on their phone. 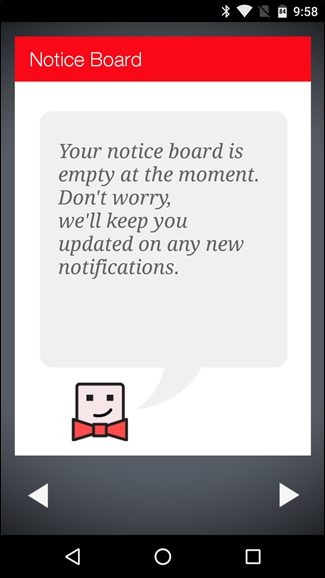 On the far left screen, you’ll find the aforementioned Notice Board, which is just an aggregation area for any notifications that come in the phone, effectively replacing Android’s stock notification area. I’m not sure if this is better or worse, really—just different. 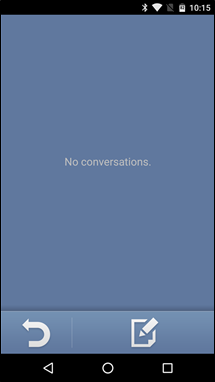 Overall, Necta Launcher and Wiser are both excellent applications to help keep things simple for users who may not quite understand how their phone works. They both do a good job of keeping more advanced options out of the way, while putting a focus on what the user wants to do. And best of all, they’re both free. You’re welcome.